It is a fact that the future of mobility is dominated by electric vehicles and hybrids. Hybrids are costlier, EVs are cheaper. It is evident that the electric cars are no longer offset by range or power limitations. They can travel more than 1000 miles on a single charge like the Schluckpecht. Or they can zap off to a flying start like the 1972 Datsun ‘White Zombie’. Unencumbered by costly and complex technology engines, electric cars have the potential to be pocket-friendly as well. Hence, they are affordable too. In case you are still wondering whether to buy an electric car, read about its advantages here. Cheap electric cars are already hitting the roads. If you are thinking of owning one, we list here cheapest electric cars you can go for. On a sidenote, the number of electric cars being manufactured each year is still limited. However, we have tried to come up with some predictions about which plug-in hybrid vehicles have the potential to change the entire world. Check it out as well. 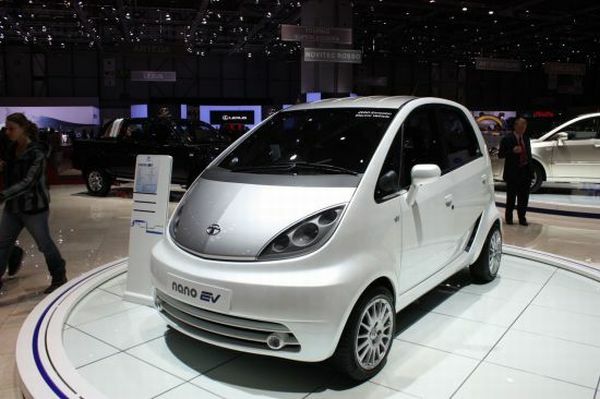 Tata, the makers of Tata Nano, the cheapest car in the world, unveiled the electric version of the Nano at the 80th Geneva Motor Show. Named Tata Nano EV, this is one of the cheapest electric cars which is built on the Nano platform. This car will be powered by super polymer lithium-ion batteries. When fully charged, the batteries can power the car to a range of 160 km. Moreover, it can even accelerate from 0 to 60 under 10 seconds. If you are still not convinced about the battery part, check of this list of 5 fast-charging batteries for your electric car. This is one car that is equally at home on the highways or in the city. With a plug in complete charging time of 2 hours, one cannot confine this car would to city commuting alone. A Lithium ion pack, which has a life span of over 5 years, powers the Triac, along with its 2000 cycles of charging. Powered by a battery pack of this caliber, the Triac would be an EV to reckon with. Straddled on three wheels, the Triac is capable of a range of 100 miles to a single charge and a top speed of 80 miles per hour. At just $20,000, the Triac is one of the cheapest electric cars that has a hunger for the freeways as well as for itsy-bitsy urban commuting. What happens when a furniture design company collaborates with a technical university? There is a mix of efficiencies, ideas and E’mo happens. An acronym for ‘electric motion’ and ‘efficient mobility’, E’mo is a product of a joint venture between Stauffacherbenz, a furniture manufacturer, and Rapperswill Technical University, Switzerland. 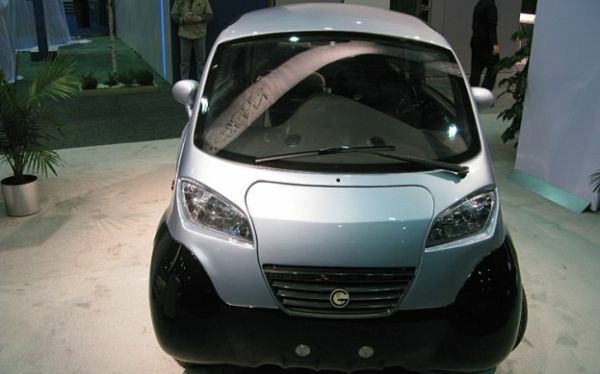 The companies unveiled the vehicle at the Geneva Motor Show 2009, the E’mo EV got a thumbs up from critics and the public alike. An extremely lightweight car weighing only 350 kg, the inventors have made this car especially for city and local commuting. 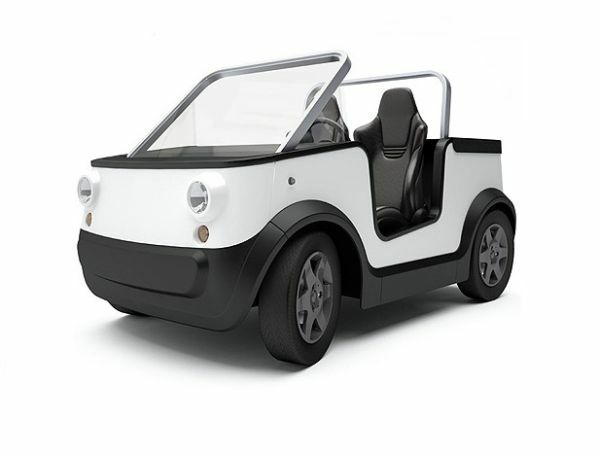 With an estimated price tag of $13,550, this cheap electric car features unique, clean styling with a folding top. Here is another cheap EV from the makers of the cheapest car in the world. 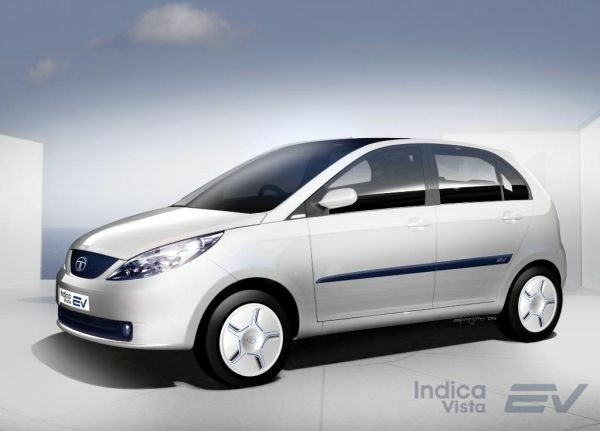 An electric version of the Indica vista, the Tata Indica Vista EV is seductively priced at $9000. With an acceleration of 0 to 60 km under 10 seconds and a proclaimed range of 200 km, super polymer lithium -ion batteries will power this electric car, just like the Tata Nano EV. Miljo Grenland/ Innovasjon have colaborated to manufacture the Tata Indica Vista EV. This car will feature an engine with permanent magnet technology, regenerative braking, an efficiency of 96%, low noise level, lightweight at 25 kgs, a power output of 120 kW, and a maximum torque of 170 Nm. With a seating capacity of four, the car is undergoing extensive tests at the company’s facility in Europe. Twizy is Renault, the French carmaker’s version of a Renault electric car designed for urban commute. The company showcased this car at the Geneva Motor Show. 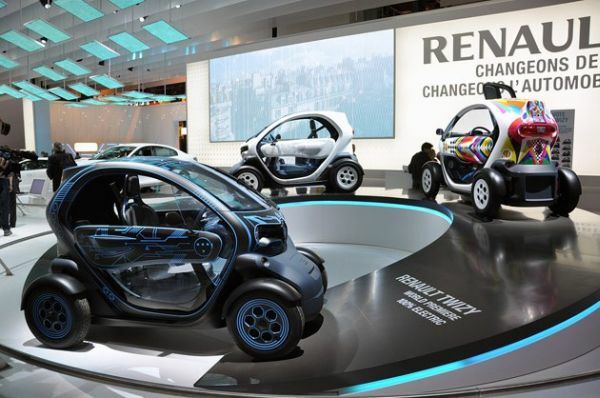 Lauren Van Den Acker, the Design chief of Renault announced that the smart two seater Twizy would be priced at 6990 euros, which translates to $9700. This is a very down to earth pricing for a completely futuristic looking electric vehicle of its class, and Renault hopes to cash in on that in Europe later this year when it offers the car for sales. The downside though is that at this price, one will need to lease the batteries from Renault; but at a measly $62 a month, the car can keep running. 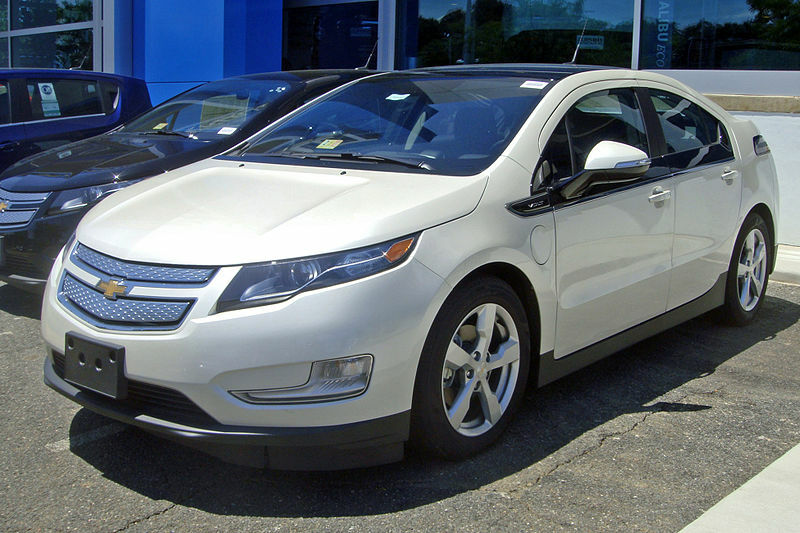 Developed by General Motors (GM), the Chevrolet Volt or Chevy Volt is a Plug-in Hybrid Electric Vehicle (PHEV) that combines the features of both traditional hybrid electric vehicle and all-electric vehicle. It has already won a number of prestigious awards including the ‘Green Car Vision Award 2009’, ‘European Car of the Year 2012’, etc. The sophisticated car comes for a price $41,000, and GM has been trying to uplift their production up to 60,000 per year in order to meet the excessive demand. General Motors is all set to come up with Cadillac ELR, an upmarket version of Chevy Volt by this year. 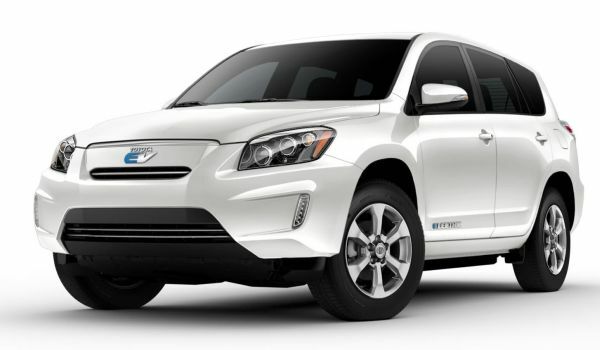 Toyota manufactured this all-electric vehicle RAV4 EV, which is an upscale version of its own popular predecessor RAV4 SUV. The company teamed up with Tesla Motors in order to get its hands on the brand new battery-only electric vehicle RAV4 EV with a set of rechargeable batteries and high performance. The car has the reputation of giving tough competition to the General Motors (GM) EV1. 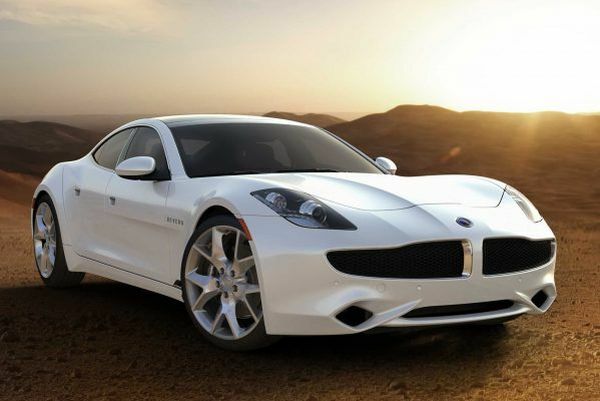 Fisker Automotive has finally launched its much expected luxurious Plug-in Hybrid Vehicle (PHV) Fisker Karma. It is basically a sports sedan with a good and sporty look of Italian supercar. Though General Motors has provided the engine of the Fisker Karma (GM), it is less competent than Chevrolet Volt, the high-class production of GM. The vehicle currently costs $100,000 in the market. 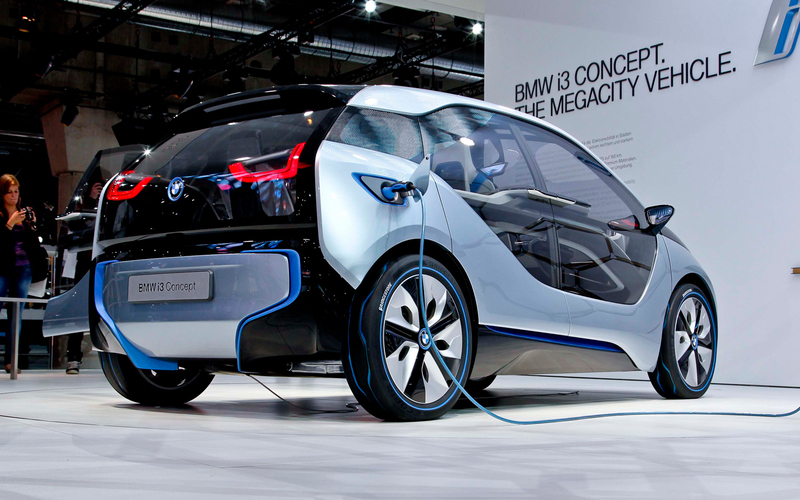 The Mega City Vehicle (MCV) from BMW (Bayerische Motoren Werke), also known as BMW i3, is an urban electric car. The company has long been in the business of manufacturing electric cars, and BMW i3 is an all-electric version of its previous versions of Mini-based electric vehicles as well as plug-in versions of the popular i-series. As the name suggests, it is a perfect fit for driving on the roads of different mega cities around the world. However, the price of the car is reasonable enough. To know if your city is best suited for an electric car ride, check out this list of 7 US cities where you can easily drive an electric car. 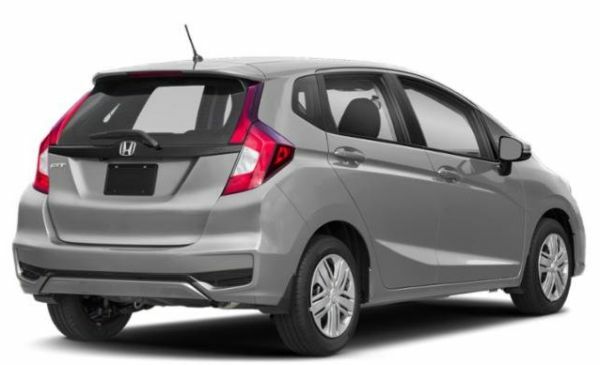 Honda Fit or Honda Jazz is one of the most discussed electric cars available in today’s market. The Honda Motor Company has basically developed a ‘hatchback subcompact’. The specialty of the vehicle is its affordable price. It comes under $30,000, which is certainly a great deal for middle class people.